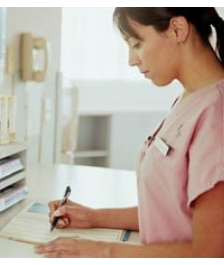 Getting a CNA job mainly depends on how you present your CNA resume to the employer. Here are a few methods, following which if you write your CNA resume, you are most likely to get hired into a medical facility. Contact Information: Always start your CNA resume by placing your contact detail first which includes your full name, email id, phone number and house address. Be careful while including an email id. Instead of your high school cool email id such as cool_chap@, you should put some official looking email id. Objective: Next write some very thoughtful objective, which when read by the employer, convinces him/her to hire you into the organization. Your objective should talk about your key role you can play in their organization as a nursing assistant. Education: Here, you should include your educational history. Experience: Experience is one of the most important factors to get hired into an organization. Remember to list all your experience or employment history in your resume but be careful to list only the relevant information. Skills and Activities: Here you can talk about the skills you possess which can be used as a capable CNA. Also, here you can talk all about your volunteering activities and the healthcare skills that you devoted to a nonprofit or volunteering organization. Highlight your skills that can help you getting into the organization. Awards and Recognitions: The employer is more likely to hire an applicant with honorable awards instead of an applicant with none. So in this section you can list any of your awards or accolades that you bagged during your educational or work history period. References: Have some references who can talk positive and motivating words about you. References can help them know about you besides what is written in your resume. So mention some references in this section. Remember, a resume is extremely important in getting a job, so make sure you draft the best possible resume. Do not forget to revise it. Look at the resume with the eye of an employer and also don’t forget to show your resume to 3-4 different people and discuss about it. And the most important part is making your resume error free. Make sure you proof read your resume and make it completely void of errors.